7/8" Ht. 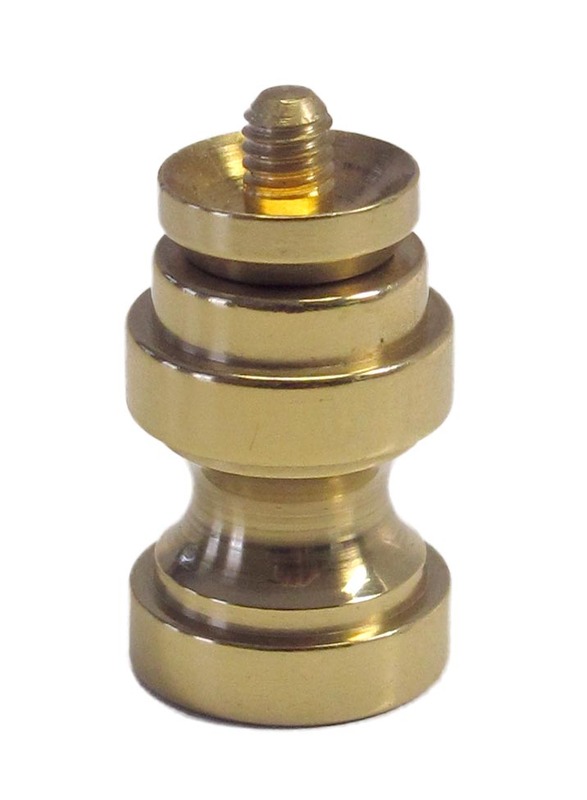 Brass Lamp Finial Base w/4mm Threaded Post, tapped 1/4-27. Brass post is threaded 4mm for attaching some European lamp crystals. Also, this final base facilitates mounting wood, metal or organic objects (via matching female threads or drilling/glue) to create custom lamp finial designs. Overall height with post is 1". Turned brass construction with swivel top.